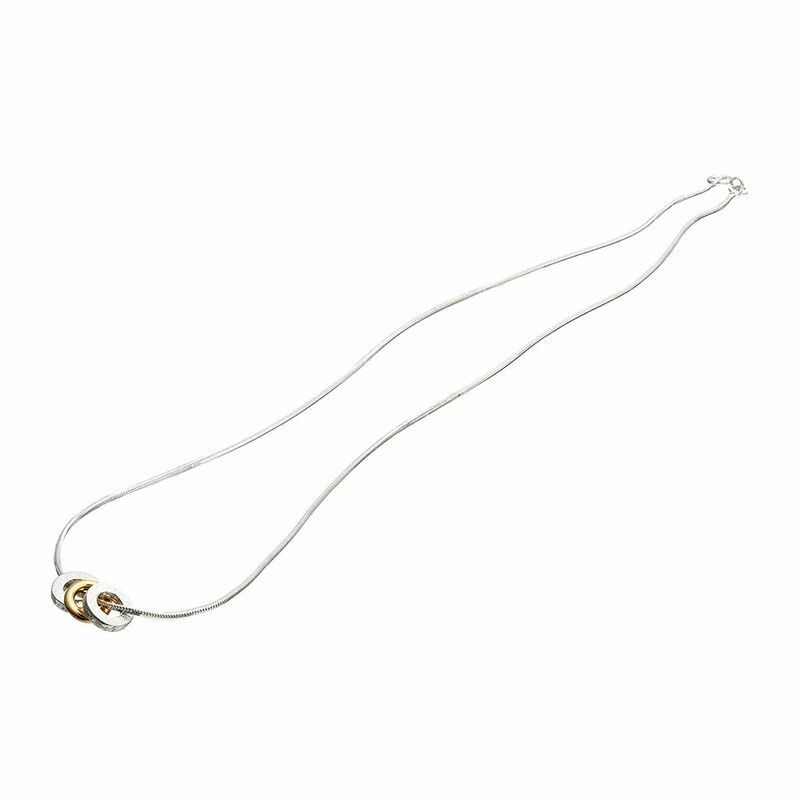 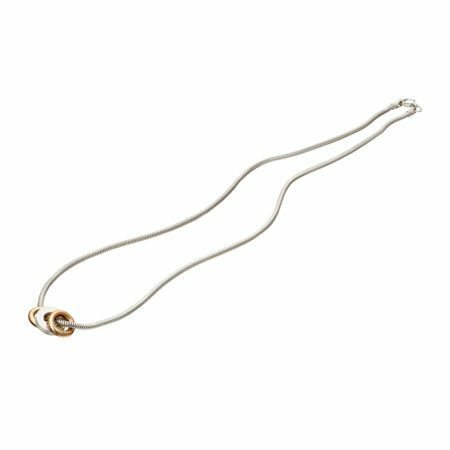 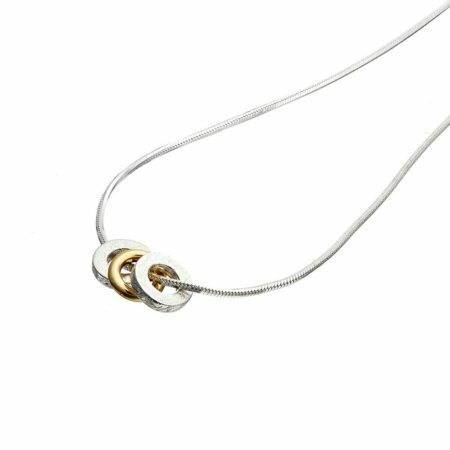 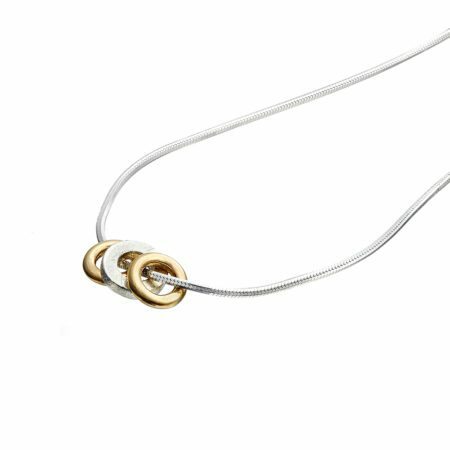 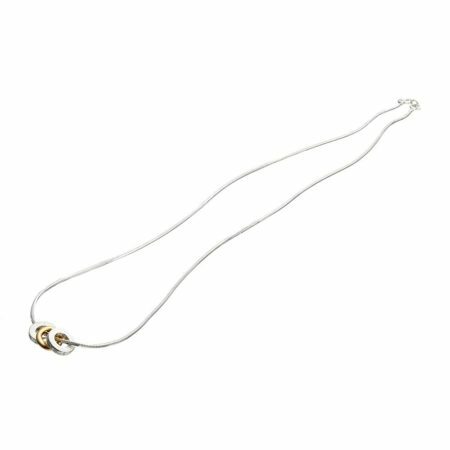 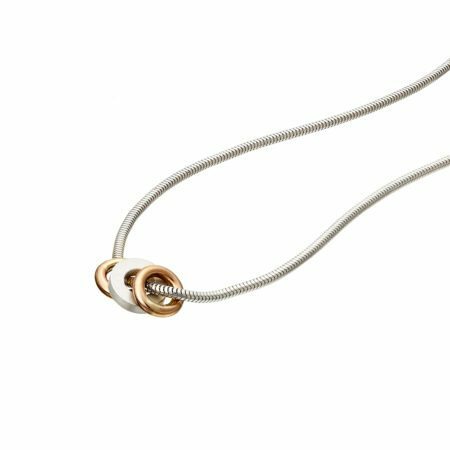 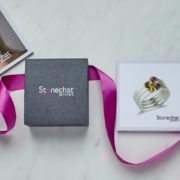 The silver and gold Trio pendant is all about balance. 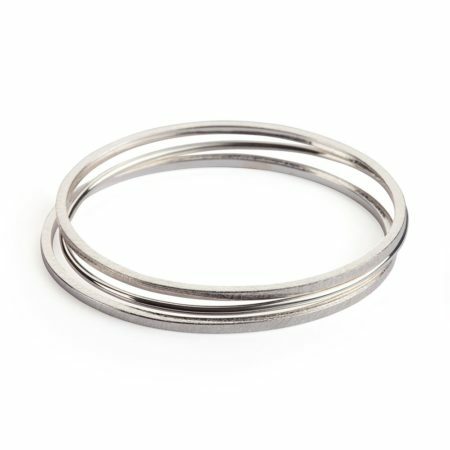 The two flat silver hoops on the outside contrast with a single round, high polished 9ct gold hoop in the middle. 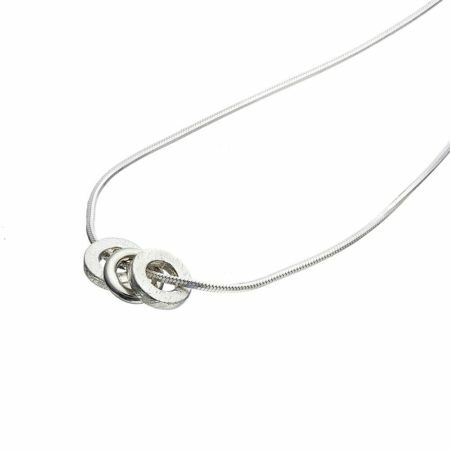 Worn on a silver diamond cut snake chain, for a bit more twinkle!